"1 out of Every 59 Families Need Support"
The South Carolina Autism Society is a historically statewide 501(c) (3) non-profit charitable organization that provides case management; educational mentoring and planning; information, referral and resources; outreach; and training for persons and professionals affected by an autism spectrum disorder. The first step is to make persons more aware of autism spectrum disorder. The South Carolina Autism Society can get you started. Also get involved in what we do across the state of South Carolina. The South Carolina Autism Society’s purpose is to advocate continuously to service-providing agencies for appropriate lifelong services that will enable all persons with autism spectrum disorders to reach their maximum potential. Count down time remaining to give in 2018 (with countdown clock)-Your support is the key to helping us fulfill our mission: Your tax deductible gift can help improve the quality of life for persons and families affected by an autism spectrum disorder. You can have a positive impact by making a donation to the South Carolina Autism Society. Your generous donations goes directly towards providing assistance and services for persons impacted by autism spectrum disorder to help us achieve our mission. 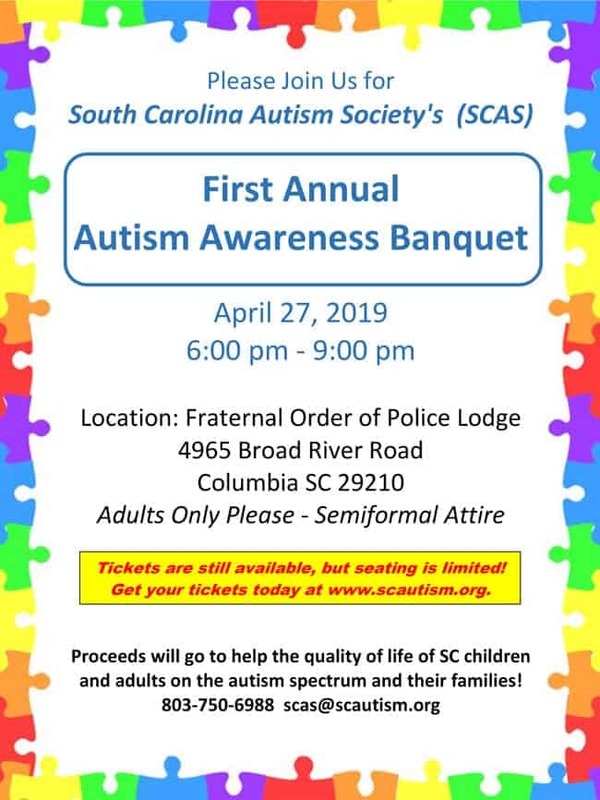 The South Carolina Autism Society is a statewide 501(c) (3) non-profit charitable organization that has been in existence for forty-six years. It relies on donations and sponsorships to provide its additional services including awareness, conferences, outreach, quality of life assistance and training for persons and professionals affected by an autism spectrum disorder. The South Carolina Autism Society’s non-profit federal Tax ID number is 23-735-0663. 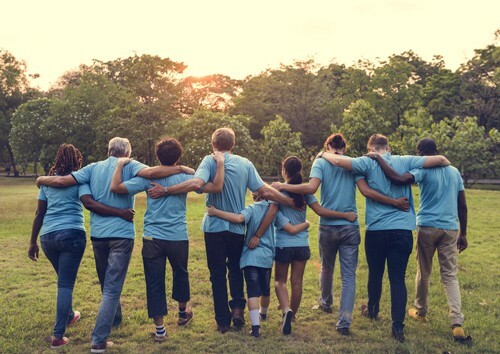 The South Carolina Autism Society offers opportunities for persons that would be interested in donating their time to help improve the quality of life for those affected by an autism spectrum disorder. The volunteer opportunities include but are not limited to awareness, fundraising, conferences, mentoring, office, outreach and training. Please contact our office if you would be interested in becoming a volunteer. Our office number is (803) 750-6988. Someone may conduct an intake screening to find out what areas in which you would like to help. Autism spectrum disorder (ASD) is a complex and lifelong developmental disability that typically appears during the first three years of a person’s early childhood. It is a neurological disorder that affects the normal functioning of a person’s brain. Autism Spectrum Disorder is characterized by deficits and symptoms in areas such as social communication and social interaction; nonverbal communicative behaviors used for social interactions; developing and maintaining relationships; restricted, repetitive patterns of behavior, interests, or activities. 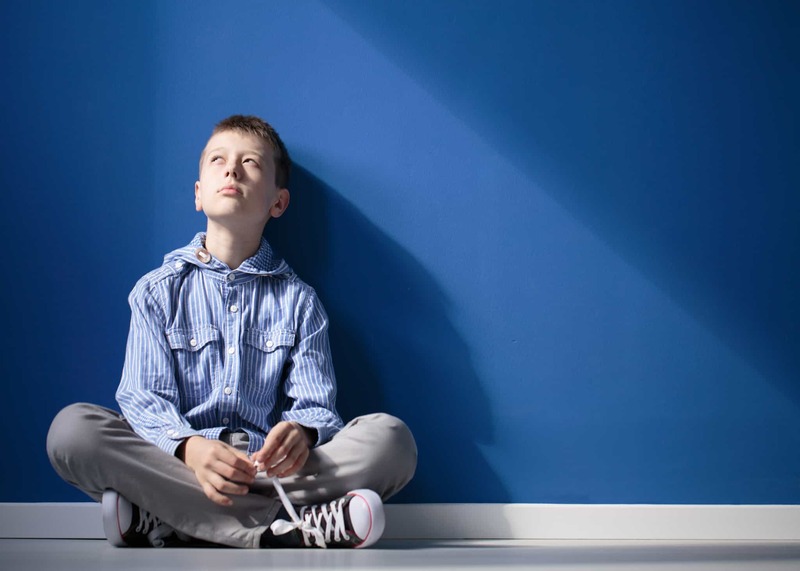 Autism Spectrum Disorder affects individuals differently and to varying degrees. • Arranges objects or toys in a particular manner. • Stereotyped and repetitive mannerisms such as hand-flapping, spinning of body, or toe walking. • Prefers sameness and has demonstrates distress when changes occur. • Strong attachment to inanimate or unusual objects. • Persistent preoccupation or obsessions with parts of objects. • Displays ritualistic behaviors throughout their day. • Views objects at close range. • Over reacts or under reacts when pain occurs. • Squinting of eyes or uses peripheral vision to look at objects. • Difficulty understanding social cues and rules. • Does not understand personal space boundaries. • May appears aloof, deaf or prefers to be alone. • Failure to engage in activities with peers. • Difficulty following instructions of others. • May demonstrate aggressive behaviors towards others. • Problems expressing themselves during difficult and stressful situations. • Difficulty demonstrating or understanding gestures. • Pulls or leads someone towards a desired object. • Does not respond when name is called. • Impairments in joint attention. Please note that a person with an autism spectrum disorder may demonstrate several of these behaviors or some that have not been listed. The diagnosis of an autism spectrum disorder is applied based on analysis of all behaviors and their intensity or severity. 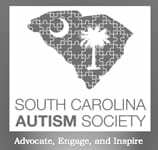 The South Carolina Autism Society’s online bookstore features a wide selection of books in reference to Asperger’s, Autism, bullying, educational plans, employment, Pervasive Developmental Disorders, social skills, teaching, helping siblings understand autism, and several other must reads from several prominent authors. In addition, SCAS’ bookstore features several videos about autism. The proceeds from your purchases provides assistance to persons and families affected by an autism spectrum disorder. The South Carolina Autism Society sponsors a license plate via the South Carolina Department of Motor Vehicles. The license plate is available to all residents across the state of South Carolina for a fee of ($30.00) dollars every two years. You will need to continue paying for your regular motor vehicle registration fee. Proceeds from the “Autism Awareness” license plate sales will be used for advocacy, education, information, and referral services. Amazon Smile is another way to support the South Carolina Autism Society. All you will need to do is click the button and Amazon will make a donation to the South Carolina Autism Society as your favorite charitable organization. The South Carolina Autism Society sells reasonably priced cups, hats, jewelry, mugs, shirts, water bottles and other merchandise that may peek your interest. The proceeds from your purchases provides quality of life assistance for persons and families affected by an autism spectrum disorder.